On October 19th, ORT Toronto hosted the ORT Battle of the Airbands at the Mod Club in downtown Toronto. Close to 200 guests enjoyed our volunteer performers who gave it their all for ORT. Thank you to Chair, Elise Sieradzki and her dedicated committee for a successful event. Thank you to Corey Mandell – Mandell Entertainment and Jody Litvack for producing the event. As well, thank you to our celebrity judges who made the evening even more fun. Thank you to our generous battle sponsors, Glazer Family, Godfrey Foundation and Sieradzki Family. Stay tuned for details of the 2nd annual Battle in the fall of 2018! On Monday March 6th, 2017 ORT Toronto held a sold out event at the Four Seasons Hotel, a Celebrity Roast of Ralph Lean, Q.C., counsel in the Toronto office of Gowling WLG. The theme of the evening was celebrating distinction in the community and global leadership. 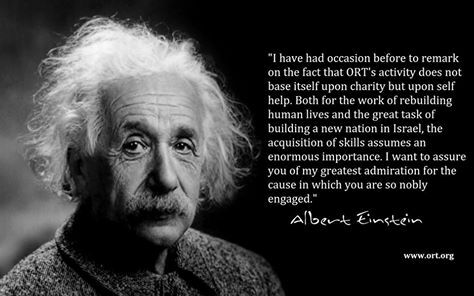 Elise Sieradzki, ORT Toronto President, presented the ORT Toronto award to Ralph Lean. He was recognized as an Educator, Humanitarian and Political Power Broker. Co-Hosts, ORT Toronto Board member, Julianna Greenspan of Greenspan Partners LLP, and Barry Avrich of BT/A, introduced the VIP Roasters who had a great time roasting Ralph! Honourary Co-Chairs were Lawrence Tanenbaum, OC, Jim Leech, CM and Sheldon Levy. The ORT guests were treated to a musical performance by Jens Lindemann, OC, and roared with laughter as Ralph’s friends took turns roasting him! Among the roasters were, Jim Barker, Paul Beeston, CM, Paul Godfrey, CM, OONT, The Honourable Michael D. Harris, The Honourable David Peterson, PC, OONT, Glen Sather, Ken Shaw OONT, His Worship Mayor John Tory, QC, OONT, Masai Ujiri, Ajay Virmani and via video, The Honourable Kathleen Wynne and Wayne Gretzky, CC. Sponsors included, Exclusive VIP Reception Sponsor – Ryerson University, Exclusive Cocktail Reception Sponsor – First Financial Group, Gold Sponsor – Cargojet, Exclusive Dinner Book Sponsor – theScore Inc., Silver Sponsors – Barclays, Cineplex, Gowling WLG, National Hockey League Foundation, Maple Leaf Sports and Entertainment. Media Sponsor – National Post. A portion of the funds raised is allocated to the ORT Ryerson Scholarship Fund. Proceeds will be donated to a World ORT educational program. We made it into the CJN Socialite page, we are on page 49. ORT Toronto’s Scavenger Hunt, held on July 25th 2016 was great! Thank you to all the “hunters” and donors for your support of World ORT and the Hospital for Sick Kids Bedside Education Program! On Sunday, October 18th, 2015, ORT Toronto held its fall fundraising Gala at the elegant Design Exchange in Toronto. The theme of the evening was “Unfinished Business of the 20th Century”. Honouree, Paul E. Bain, partner at Dickinson Wright LLP, was honoured for his work protecting artists’ rights and his dedication to several not-for-profit art organizations. The evening’s MC, Michael B. Miller introduced the Keynote Speaker, Donald S. Burris. Mr. Burris is a senior partner in the L.A. firm Burris, Schoenberg & Walden LLP. He is one of the men behind the “Woman in Gold” case, where a Nazi-appropriated Gustav Klimt masterpiece was returned to its rightful owner, Maria Altmann, decades after the theft. Mr. Burris spoke about other fascinating cases he has worked on, rescuing artworks once owned by Jewish families in Europe.